Along with the neighboring Yacht Club Resort and the main Beach Club Resort, these Disney Vacation Club villas spirit guests away to an idyllic beachside cottage on Martha’s Vineyard with luxurious turn-of-the-century style. With sparkling pastel siding, white shutters, and delicate white railings, the outside view of the Beach Club Villas is picture postcard perfect. The rooms provide you with modern amenities while surrounding you with the feel of the quiet luxury of decades past. An intricate headboard and flowered bedspread looks through a shuttered opening onto a delicate paneled vanity. Meanwhile, the whirlpool tub and flat screen television ensure that you are not taken too permanently back in time. The suits at the Beach Club Villas vary in size from studios with kitchenettes to two-bedroom villas with separate living rooms, full kitchens, and two bathrooms. All of the villas come with a private balcony, and the comfortable and homey decor gives a true home-away-from-home feel to this Disney Deluxe Villa resort. Beach Club Villas from Crescent Lake. 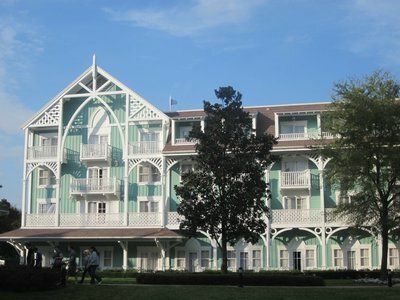 As with all of the Disney villas resorts, the Beach Club Villas are part of the Disney Vacation Club time share system. 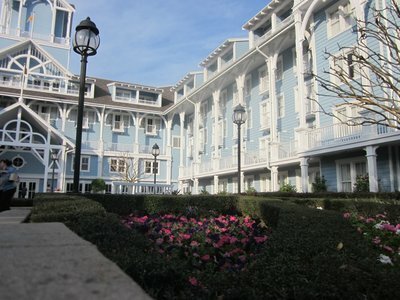 Members of the DVC can use their timeshare to stay in a studio or villa, while members of the general public can reserve rooms that are not in use by the vacation club. Guests at the Beach Club Villas can take advantage of the amenities at the main Beach Club Resort as well as its sister Yacht Club Resort. 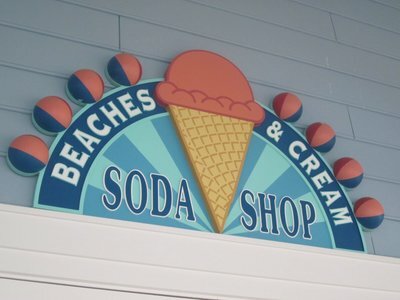 For dining options, guests can grab a casual meal at the Beaches and Cream Soda Shop (home of the incredible Kitchen Sink ice cream sundae) or at the Beach Club or the Yacht Club’s Captain’s Grille. 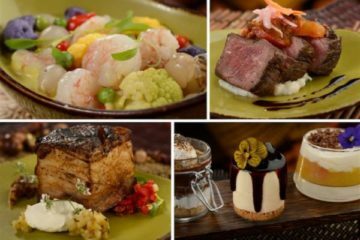 For a fine dining experience, the Yachtsman Steakhouse is an elegant and tasty choice. Finally, the Cape May Cafe gives guests the option of having breakfast with a host of Disney characters led by Goofy, or enjoying a seafood buffet in the evening. The Ship Shape Health Club is there to help guests keep themselves fit and healthy in spite of their luxurious vacation surroundings. There are spa services available in addition to the standard cardiovascular and strength training equipment, and the 24-hour access can accommodate anyone’s theme park schedule. Kids have their own club, although not specifically for fitness. The Sandcastle Club is a supervised play area where children can spend the afternoon and evening while their parents enjoy a night out. Additional activities for the active-minded include beach volleyball, tennis, bicycling, and jogging or walking along designated trails. Those looking for something more relaxing can sunbathe on the beach at Crescent Lake, or head out onto the water for a bass fishing excursion. The party piece of the Beach and Yacht Club resort area is the large Stormalong Bay pool complex. Complete with a large slide on the prow of a sunken ship, a winding river, and a sand-bottomed main pool, this is one of the more impressive feature pools in all of Walt Disney World. beautiful details and pastel colors. 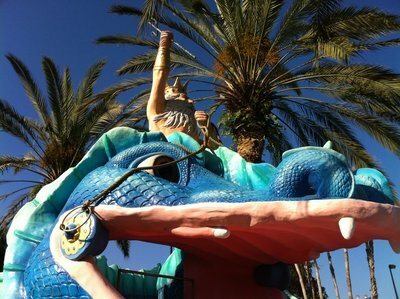 There are three additional pools that Beach Club Villa guests can use. There is a garden pool located on the Yacht Club Resort grounds, a pool and hot tub in a separate garden area of the Beach Club, while another quiet pool is located in the Beach Club Villa area itself. 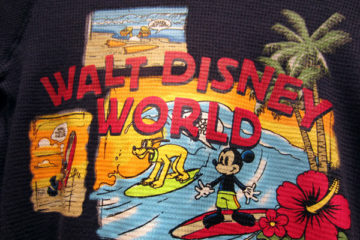 The Beach Club Villas are located right in the middle of the Disney World action, next door to Epcot and just above Disney’s Hollywood Studios. 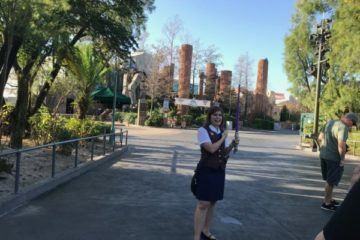 Guests can walk to either of those two resorts while bus travel is generally the best way to get to the other theme parks, Disney Springs, or any of the other Disney World resorts. 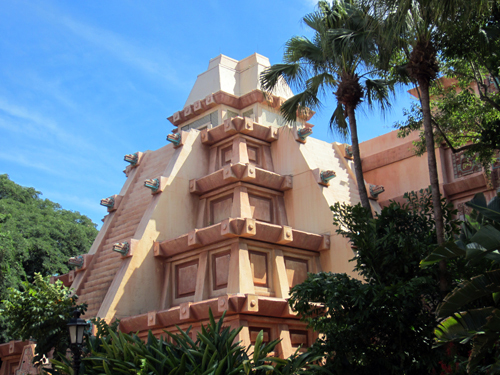 However, it is possible for guests on their way to the Magic Kingdom to walk to Epcot and catch the monorail. It may not actually be faster than taking the bus, but the monorail is a unique Disney experience that is worth a ride at least once during your vacation.